The Mills administration testified Wednesday against two measures aimed at renovating and reopening the Downeast Correctional Facility in Bucks Harbor, closed abruptly under the administration of her predecessor, Gov. Paul Lepage. Mills is aiming instead for a much smaller pre-release center at a different location. 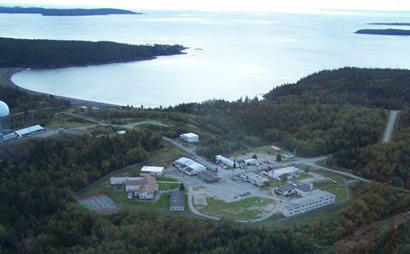 The Downeast Correctional Facility was a former Air Force facility that the state renovated to hold 150 minimum security inmates, including 50 housed in a pre-release unit. It was originally built in the 1950’s using lead paint and the heating technology of that era. The center was originally built in the 1950's using lead paint and the heating technology of that era. Wednesday corrections officials say they have excess capacity in the system after the expansion and renovation of the Windham Correctional facility. Corrections Commissioner Randy Liberty told members of the Criminal Justice and Public Safety Committee Wednesday that it doesn’t make sense to bring the Downeast Facility up to modern standards when what’s really needed is a 50 bed pre-release center. “After careful examination of the cost, the decision to buy or lease an existing property and retrofitting that building into a 50 bed pre-release unit has been made,” says Liberty. Liberty says the Department Of Corrections has determined that it would cost $10.7 million just to renovate part of the closed Downeast facility to serve as a pre-release center. It would cost a little less, about $9.4 million, to build a new pre-release center on the same grounds, but with added costs to knock down the old buildings and remediate the grounds. The Department is proposing instead to lease or buy an existing building and renovate it to hold up to 50 pre-release inmates at a cost of two to three million a year. But that is not what many people in Washington County wanted to hear. “Fifteen workers and 50 inmates to be located at a halfway house somewhere in Washington County…is a far cry from a full-fledged prison with 50 workers and 150 inmates at peak,” says Joyce Maker of Calais, a former lawmaker that fought to keep DCF open. Maker’s comments drew support from several people who traveled from Washington county to support legislation that would re-open the Downeast Correctional Facility, which they say was an economic engine that also provided a labor pool of work release inmates for some businesses. But Commissioner Liberty countered that correctional policy should be aimed at protecting the public in the most efficient way, and he says the system doesn’t need any more minimum-security beds. The issue is expected to generate more debate in both the Criminal Justice Committee and the Appropriations Committee next month. A Superior Court judge has declined to weigh in on how a Washington County prison should be operated, after Gov. Paul LePage emptied the facility in February. David Webbert, an Augusta attorney representing laid-off workers at the Downeast Correctional Facility in Machiasport, filed the request for clarification with Superior Court Justice Michaela Murphy.